Bois-Guillaume is a north-eastern suburb of Rouen, on the main road to Neufchatel. A CWGC signpost is on the road (D928) to Neufchatel at the street corner near the Mairie (Town Hall). Turn left here, and then take the second left into the Rue de la Mare des Champs. The Communal Cemetery is on the right hand side of the road, and the Communal Cemetery Extension is on the left hand side of this road. Locally, the Communal Cemetery is known as the Cimitere de la Mare des Champs. The extension adjoins Bois-Guillaume Communal Cemetery. 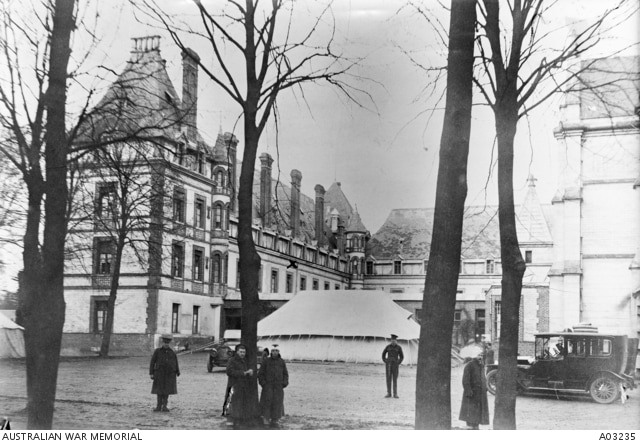 It was begun in March 1917 and most of the burials came from No.8 General Hospital, which was quartered at Bois-Guillaume in a large country house and grounds. There are now 360 First World War burials in the extension and one from the Second World War. The communal cemetery contains a further 320 First World War graves. Please note, a number of the graves in Rows A to G are doubles. 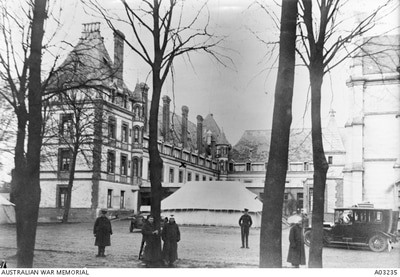 The cemetery extension was designed by Sir Reginald Blomfield. 6th July 1918, aged 29. Son of Lawrence Edward and Caro]ine Beck, of 91, Strada Ridalfo, Sliema, Malta. Waldemar Beck was born in Malta, attended Malta University earning the degree of Bachelor of Economics and Land Surveying and Architecture. 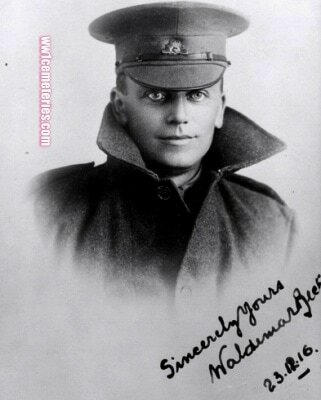 He emigrated to WA in 1912, enlisting in the AIF on 9 October 1916. He embarked from Fremantle, WA, aboard HMAT Berrima on 23 December 1916. 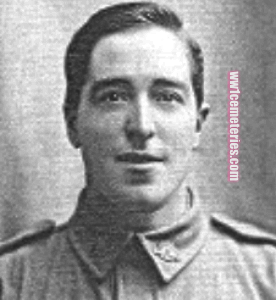 He died of wounds from a gunshot wound to the head on 6 July 1918 in France, aged 29. "B" Coy. 50th Bn. Australian Infantry, A. I. F.
2nd October 1917, aged 34. 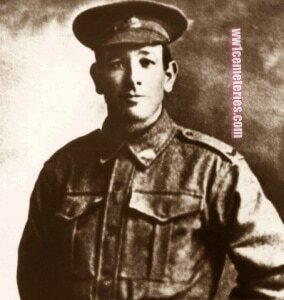 Son of John and Priscilla Cameron, of Waverley Street, Largs Bay, South Australia. Native of Mount Barker, South Australia. A labourer from Mount Barker, South Australia, prior to enlistment, he embarked with the 5th Reinforcements from Adelaide on 21 September 1916 aboard HMAT Commonwealth for Plymouth, England. Following training in England he joined his battalion on the Western Front near Albert, France, in mid-December 1916. 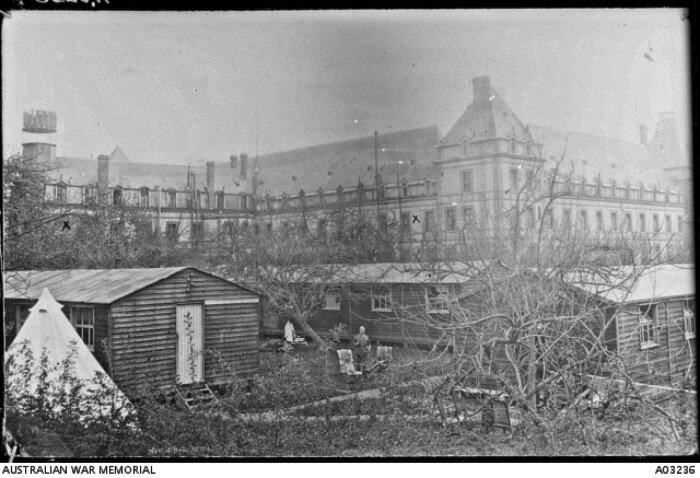 Pte Cameron was wounded in action on the first occasion near Pozieres and was evacuated to England for treatment and recuperation before rejoining the battalion near Outtersteene in late June 1917. 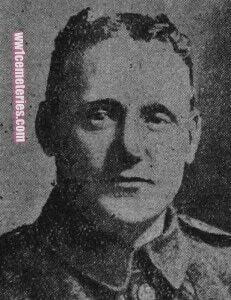 Pte Cameron was wounded in action on a second occasion at Westhoek, Belgium, in late September 1917. He died of these wounds in the 8th General Hospital, Rouen, on 2 October 1917 and is buried in the Bois Guillaume Communal Cemetery Extension, France. He was aged 34 years. "He was admitted to this hospital on the 27th September 1917, suffering from a wound of the right thigh. X Ray examination showed a large fragment of shell casing in the thigh. 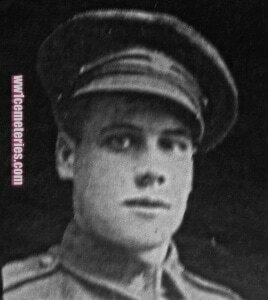 He was operated on 30th September 1917, the foreign body being removed and the wound drained. On the night of the 1st October he suddenly became worse and developed signs of rapidly progressing Gas Gangrene of the thigh. He was operated on again at 4 a. m. on the morning of the 2nd, the thigh being amputated as high up as possible. He never rallied after the operation and died very shortly afterwards." 16th October 1918, aged 36. Son of Horatio and Priscilla Hartley, of Burnley. 6th October 1917, aged 24. Son of Elijah Thorn and Mary Humphrys of Maythorn, Hanson, South Australia.